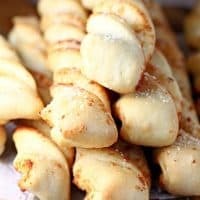 PARMESAN GARLIC BREADSTICKS — These quick and easy, made-from-scratch breadsticks are loaded with garlic and Parmesan cheese. They’re sure to become a family favorite! I think my children could live on breadsticks, and these Parmesan Garlic Breadsticks are our absolute favorite. There are definitely not any low-carb diets happening around here. Whether dipped in warm marinara sauce or a bowl of hot soup, we just can’t seem to get enough of these breadsticks! I’m pretty sure the reason they’re so delicious is because these breadsticks are filled with savory garlic butter and Parmesan cheese. Everything is brushed and sprinkled on before the breadsticks are twisted into shape and baked. And I can’t resist adding more garlic butter and Parmesan cheese after baking. No wonder they’re so good! 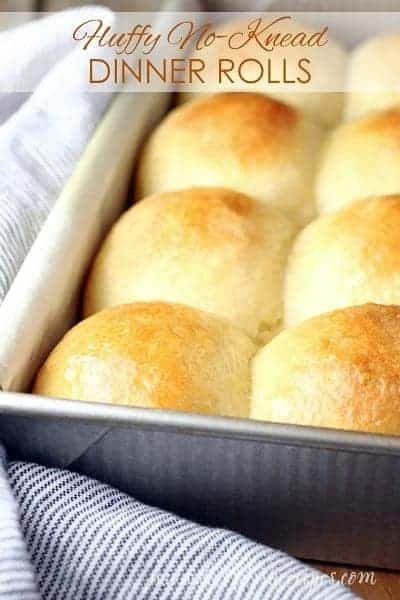 I also love that these breadsticks are so easy to make. They use just a few simple ingredients and have a short rise time. Which is great if you’re like me and forget that you wanted to make homemade bread for dinner until it’s too late. Thank goodness they don’t take long to make, because they disappear almost as fast as I can pull them out of the oven. If I’m saving them for dinner, I have to hide them or they’ll be gone! Parmesan cheese and garlic are a classic combination, but other varieties of cheese work well too. Cheddar, mozzarella, or even blue cheese are great substitutions if you’re looking to change up the flavor of these breadsticks. Whatever you do, you really can’t go wrong here. This is a recipe everyone is sure to love! 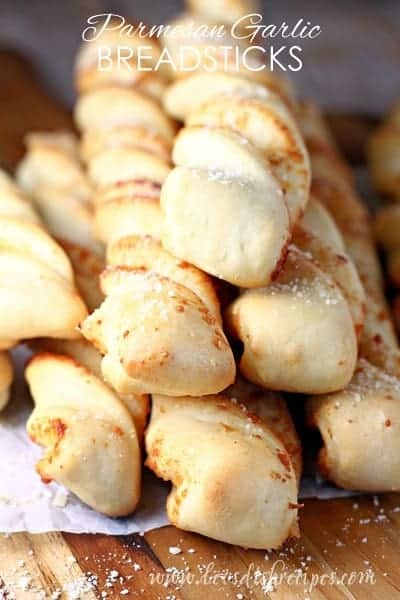 Be sure to save this recipe for Parmesan Garlic Breadsticks to your favorite Pinterest board for later. 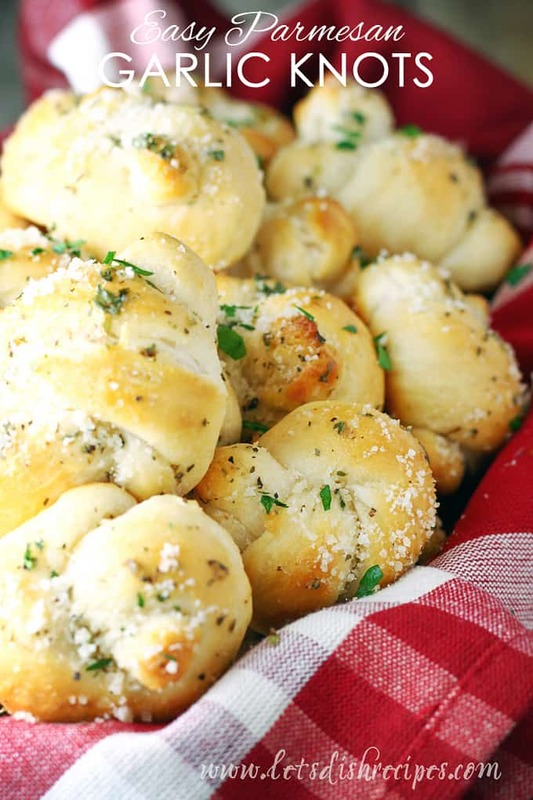 These quick and easy breadsticks are loaded with garlic and Parmesan cheese. They're sure to become a family favorite! In the bowl of a stand mixer, combine warm water, yeast and sugar. Let stand for 5 minutes. Stir in olive oil and salt. Gradually add the flour until a soft dough forms. Let dough raise for 10 minutes. Meanwhile, stir together melted butter and minced garlic. On a lightly floured surface, roll dough into a large square, about 16×16 inches. Brush dough with half of the garlic butter. Sprinkle with Parmesan cheese. Fold dough in half, then cut into 1 inch wide strips. Twist strips and place on 2 lightly greased baking sheets. Allow breadsticks to raise for 15-20 minutes while you preheat the oven to 400 degrees. Bake for about 18-20 minutes, or until golden brown. 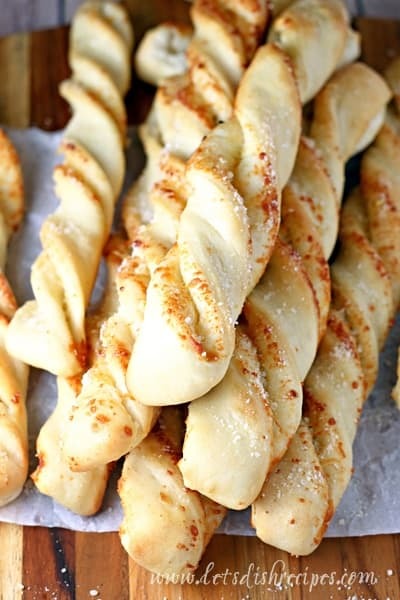 Brush breadsticks with remaining garlic butter and sprinkle with coarse salt. Who Dished It Up First: Adapted from Six Sisters’ Stuff. Ummm yeah – I’ll take about 100. I could live on breadsticks – for forever. YUM! Bread sticks got my kids through many a meal away from home that they otherwise didn’t want to touch. And for that reason alone, they will always have a special place in my heart. Found this on food gawker and came after it. Looks perfect and sounds very easy too. Pinning it!! 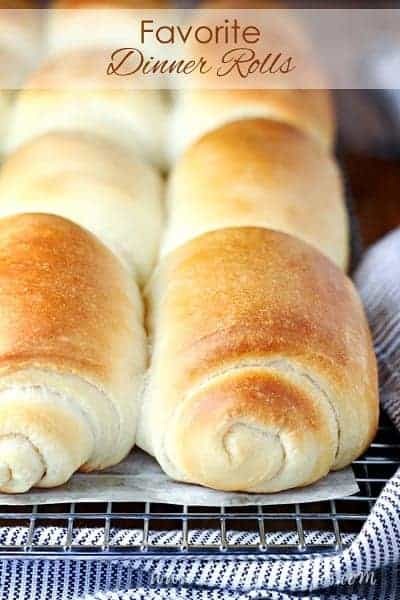 I love how easy these are and I’m such a bread lover – pinned! Sooooo good!!! We had spaghetti for dinner and this recipe was an awesome addition. I did add a sprinkle of Italian seasoning and garlic salt at the end… Definitely a new found staple in my kitchen!! !